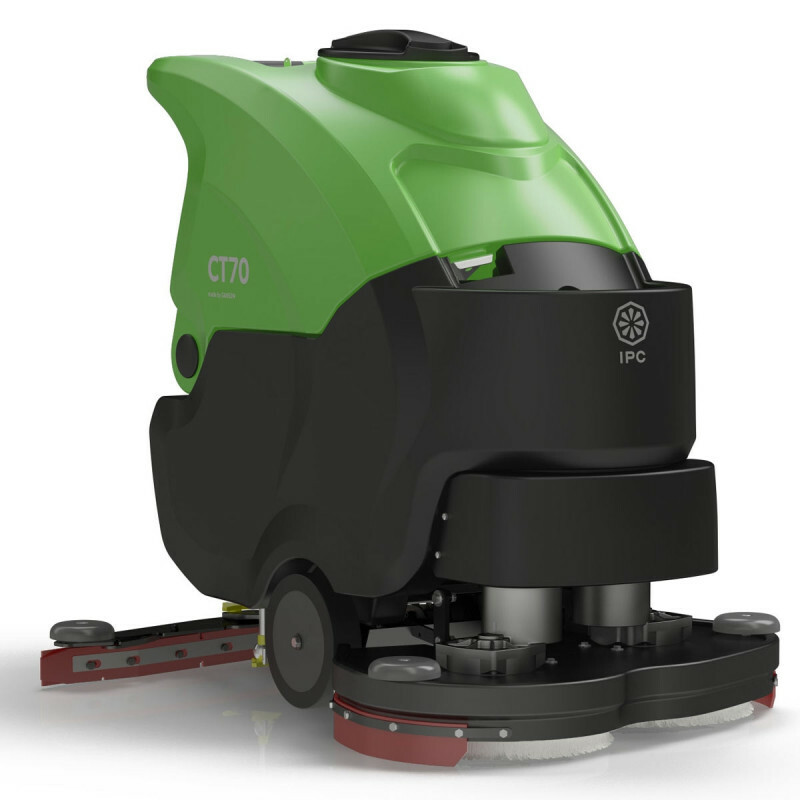 This IPC Eagle CT70 ECS auto scrubber is the most eco-friendly floor scrubbing machine in the world! It can be used to scrub and polish finished floors like no other machine. It uses a patented EcoCost Cleaning Solution (ECS) which can reduce water consumption by up to 12,000 gallons and save you over 250 working hours in one year. It features a low speed setting (185 RPM) and a high speed (600 RPM) "Micro Scrub" system which allows you to clean as well as maintain the shine of your high gloss floors, so it's like getting two machines for the price of one! The dual head ECS machine can also be used to clean and polish sealed and non-sealed floors utilizing specialized diamond pads. This high-speed mechanical cleaning approach physically removes the soil as it polishes the surface. It can be used in restoration and everyday maintenance to provide clean and shiny floors at fraction of the costs of traditional methods. Ideal for use in a variety of industries including construction, food and beverage, government, healthcare, hospitality, retail, transportation, and warehouse and manufacturing. 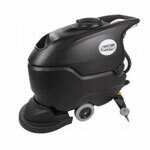 We also offer this scrubber in a non-ECS version, which is the CT70BT70. Both of these, plus many more can be found in our IPC Eagle walk behind scrubbers department. Cleaner Environment - Offers a new level of hygiene that you have come to expect from microfiber cleaning. Conserve Water - Reduce water consumption by up to 12,000 to 19,000 gallons per year. Save 80%-90%. Reduce Chemical - The Chem Dose system helps you save chemicals by providing precision control. Save up to 150 to 240 gallons of chemical per year. Save 80%-90%. Reduce Labor - Just fill and dump the ECS once. Save 30%50% on dumping and refilling. Save up to 400-640 labor hours per year. Reduce Pad Waste - Reduce the cost and disposal of “throw away” pads, Micro scrub pads will last 2-6 months depending on the surface. Save Energy - Reduces energy in battery charging and energy management by 20% with the “Energy Saver” system and will increase battery life. Reduce Noise - Reduce noise levels 10%-15%, to allow for daytime cleaning. Reduce Waste - Save 30-150 plastic chemical containers and their transport. Reusable - Micro Scrub pads can be cleaned over 200 times and clean up to 45,000 sq. ft. at one time. They can be rinsed or are machine washable.